#301 1725 Pendrell Street: A WEST END GEM! 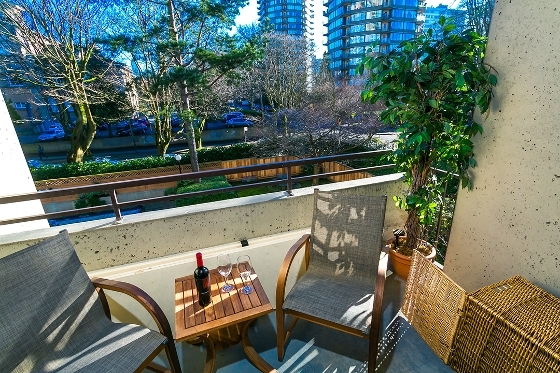 STRATFORD PlACE is a solid building located at 1725 Pendrell Street in the West End in downtown Vancouver. 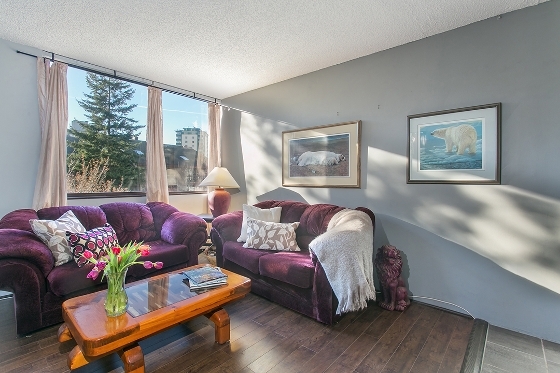 Strataford Place is a freehold concrete tower that offers piece of mind as this proactive strata has made upgrades to the roof, boilers, plumbing, elevator, parking garage and more! 1725 Pendrell Strreet is a block from the intersection of Denman and Davie in the West End. This location is second to none as it is steps English Bay, restaurants, shopping, schools, Stanley Park and more. Stratford Place is an extremly popular residence due to this location at 1725 Pendrell Street. The kitchen has upgraded counter tops and leads to an oversized den. This den is nearly the size of a second bedroom. #301 1725 Pendrell Street was measured at 699sqft. This corner suite feels large and is perfect for house size furniture and entertaining. As you can see, #301 1725 Pendrell Street (Stratford Place) can accomodate house-size furniture. The newer floors sparkle and gleam in the sunlight. The southern exposure offers full sun even in January. This is a rare find for a lower level suite. The balcony is ten feet wide and overlooks the gardens and outdoor pool. This is a unique serene setting that can only be found in the West End. #301 1725 Pendrell Street has it all. 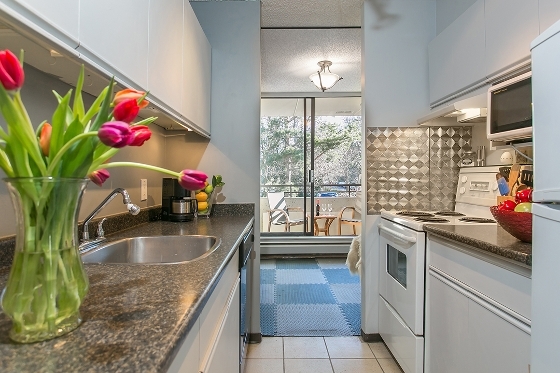 If you are thinking of moving to the West End #301 at Stratford Place is the place for you. You will not find another suite in a concrete freehold building that has this many improvements for this value. At $379,000 this is a steal!